Stay at this Starke hotel and enjoy a host of convenient amenities while traveling in sunny Florida. 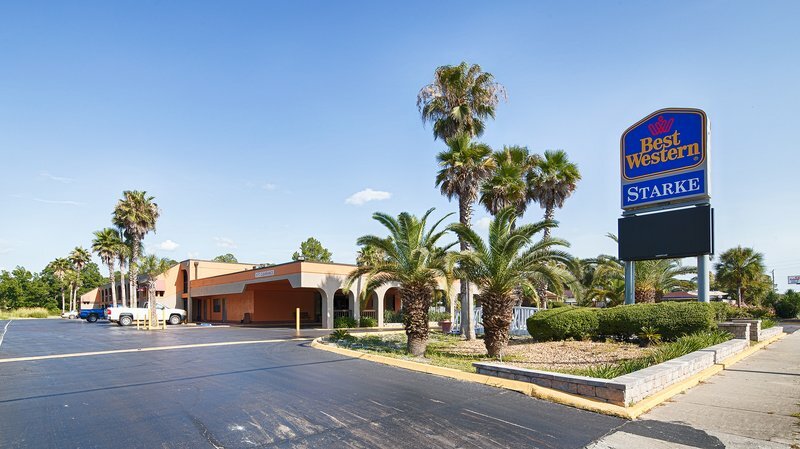 The Best Western Starke is conveniently located off of Highway 301 with easy access to key area attractions and business locations including St. Augustine, Kingsley Lake, the University of Florida and Gator Nationals. Hotel guests will appreciate the variety of nearby dining and shopping options. Each spacious guest room features free wireless high-speed Internet access and long distance access, cable television with HBO and ESPN , microfridge, iron/ironing board, coffee/tea maker and hairdryer. King size beds and other upgraded amenities are available in select rooms. Other hotel amenities include a complimentary continental breakfast and outdoor swimming pool. Visitors may enjoy fishing on one of the many surrounding lakes or participating in a range of outdoor activities at the Gold Head Branch State Park. Business travelers will find that the Best Western Starke Inn is conveniently located near Dupont, SMI Joist and Camp Blanding. Make an online reservation today and save at this Starke hotel! Enjoy your stay. We are renovating our lobby and breakfast areas. We apologize for the inconvenience. From: Route 16. Go to Highway 301 to the Best Western Starke. From: Route 100. Go to Highway 301 north, and go one mile on Highway 301 to the Best Western Starke. From: Interstate 10. Take Exit 343 and go south on Highway 301 for 25 miles to the Best Western Starke. From: Interstate 75. Take Exit 358, County Road, and then take 326 East to Highway 301. Continue north on Highway 301 for 50 miles to the Best Western Starke.